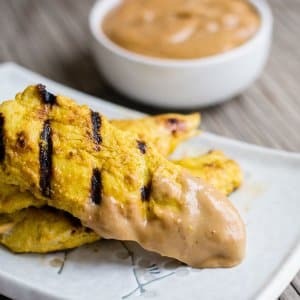 The chicken is easy enough – toss everything in the blender and blend – marinade for 4 hours or overnight – cook… easy peasy, right? you can bae it or grill it – however you like to cook chicken. great flavor and easy. 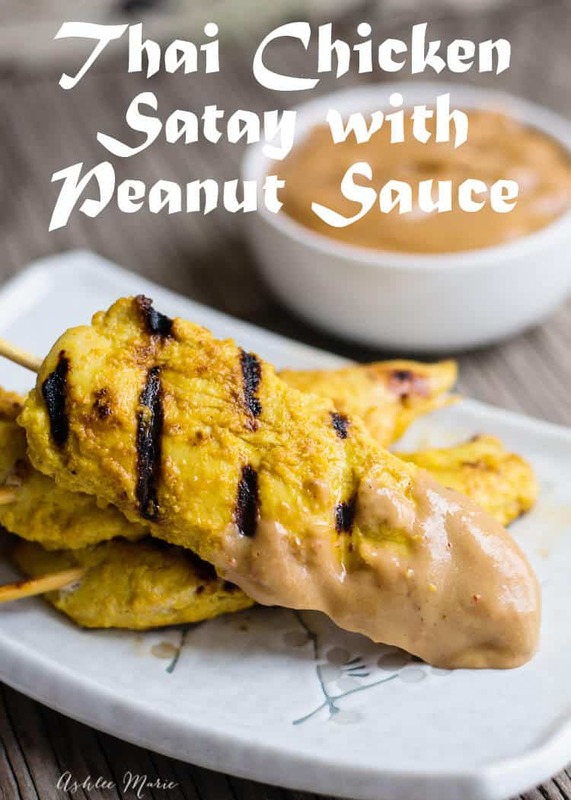 Really for me it’s all about the peanut sauce – which is JUST as easy to make – it has the most amazing flavor – I’d eat it straight. 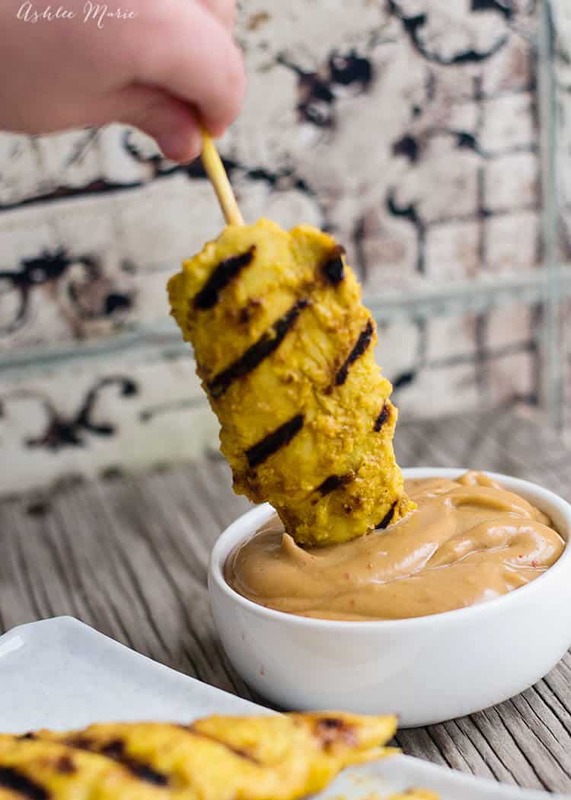 In fact the chicken is pretty much an edible utensil to get the peanut sauce in my mouth. 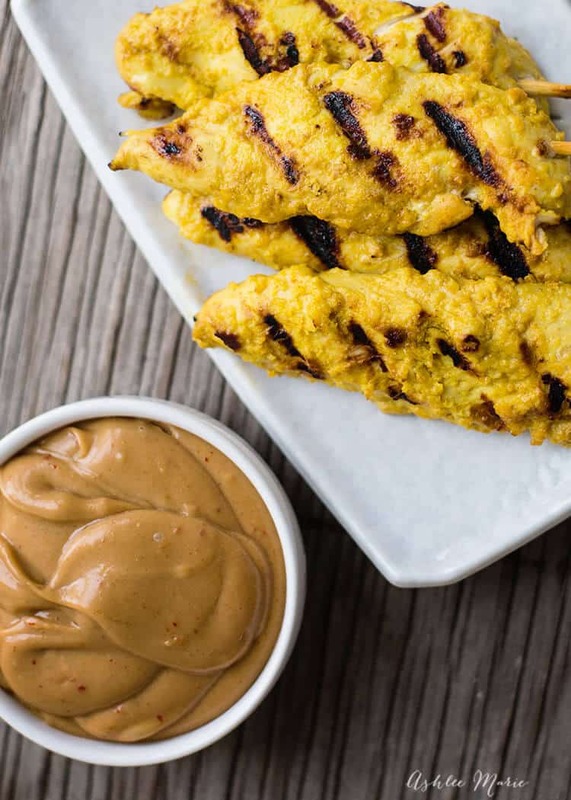 Yes it’s that good – I really need to make more dishes that use this peanut sauce as a side. And there you have it – other than the marinating time this dish takes almost no time at all! It’s a great easy prep meal that I always have all the ingredients for! 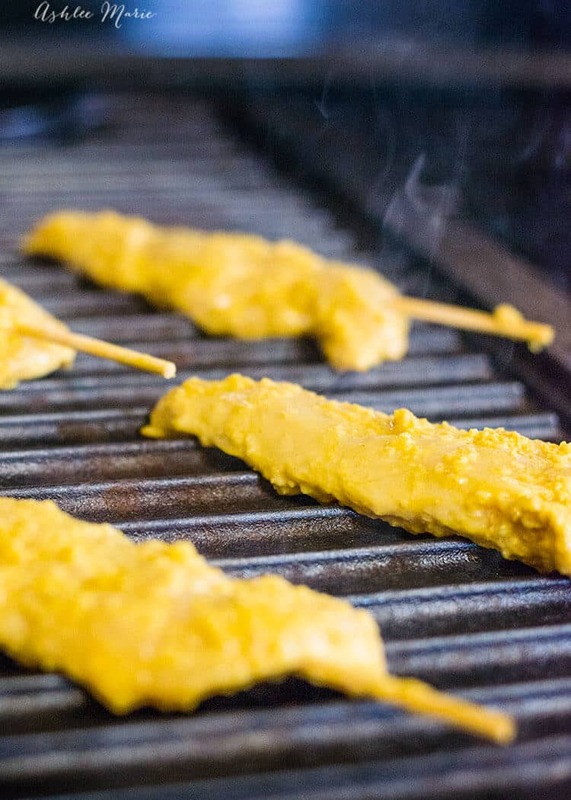 Don’t forget to soak your skewers if your going to grill the chicken so they don’t burn. Honestly it’s even easier to toss it in the oven – but you miss out on those great grill lines! So as we turn the corner and start the new year here are some more easy to make dishes that won’t make you feel weighted down from me and other creative foodies! what cheesecake? this is a chicken dish? I’d love to help you out but I’m a little confused? A group of friends coming this weekend to my place… perfect occasion to try this with some rice aside. Thank you and have a nice day. hope you enjoyed it as much as we do!